You have an MLB ticket collection. It's unmistakably yours. You went to the games. You sat in the seats. You own more than the ticket stubs, you own the memories. So let's make sure your tickets get a proper display that is also unmistakably yours. A Personalized Diamondbacks Ticket Album puts your name right on the cover. 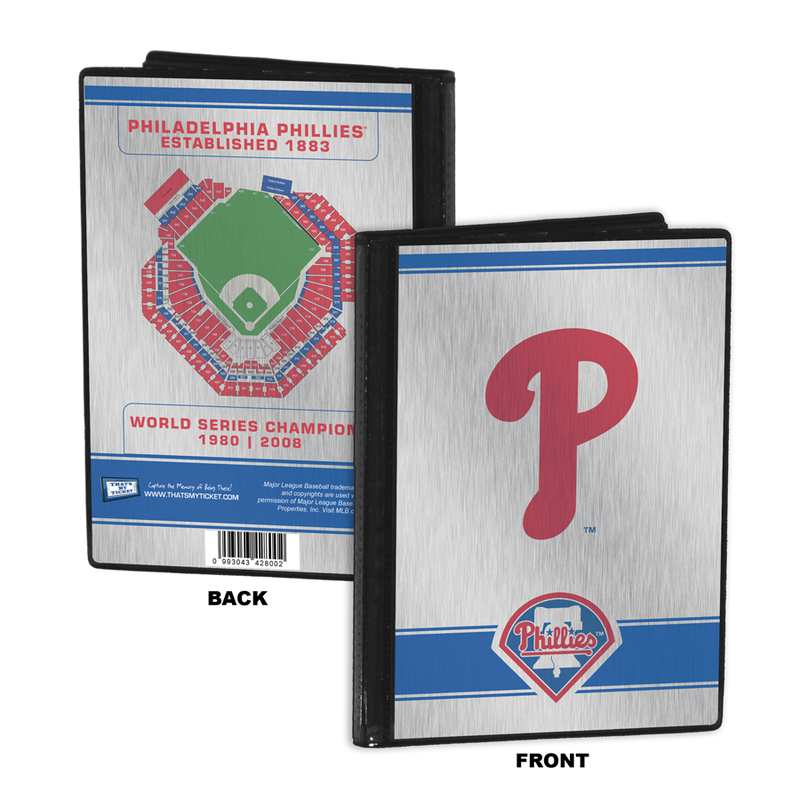 It's a photo album for your tickets and allows you to create a table-top display that will keep the memories of the games you've attended as fresh as the day you were there. 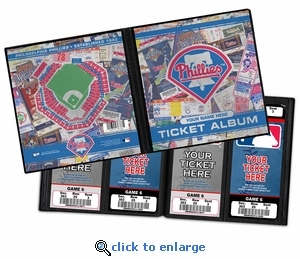 Also makes an ideal item to present tickets as a gift and a perfect item for season-ticket holders. Design features images of historic tickets. Includes seating chart on back. 32 pages holds up to 64 tickets. Fits tickets measuring up to 3 3/4" x 8 1/4. Pockets on inside covers can accommodate oversized tickets. Overall size 8 3/8" (W) x 8 3/4" (H). Officially licensed by MLB. Note: Tickets shown not included. You have an MLB ticket collection. It's unmistakably yours. You went to the games. You sat in the seats. You own more than the ticket stubs, you own the memories. So let's make sure your tickets get a proper display that is also unmistakably yours. A Personalized Diamondbacks Ticket Album puts your name right on the cover. It's a photo album for your tickets and allows you to create a table-top display that will keep the memories of the games you've attended as fresh as the day you were there. Also makes an ideal item to present tickets as a gift and a perfect item for season-ticket holders. 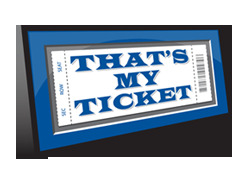 Design features images of historic tickets. Includes seating chart on back. 32 pages holds up to 64 tickets. Fits tickets measuring up to 3 3/4" x 8 1/4. Pockets on inside covers can accommodate oversized tickets. Overall size 8 3/8" (W) x 8 3/4" (H). Officially licensed by MLB. Note: Tickets shown not included.